Exterior concrete is subject to a wide range of weather and temperature fluctuations. 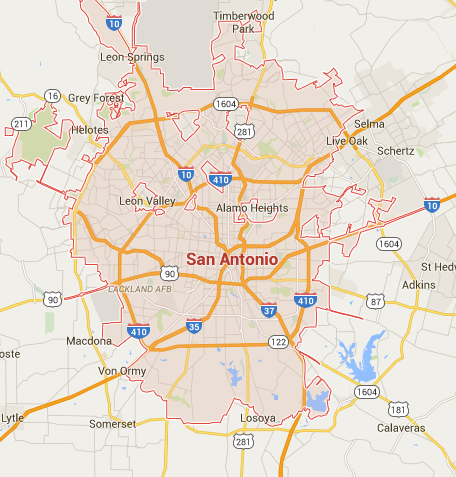 In San Antonio, TX you can expect, severe heat and sun, UV rays, and then freeze and thaw in the winter months. You decorative concrete coatings and finishes need to last and make it through the seasons. Sundek products have been used for over 40 years. Along with the experience in the industry and knowing what it takes to make a top quality decorative concrete system. 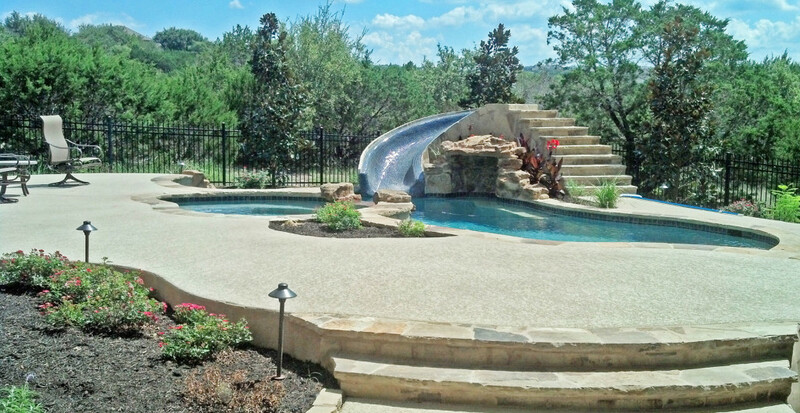 Sundek of San Antonio only uses time tested and proven materials for both residential and commercial outdoor decorative concrete. When choosing an exterior concrete coating for your property you have a lot to choose from. From Stamped concrete, to Acrylic splatter knock down to hand trowled Tuscan texture. Take a look at some of the popular places to use outdoor concrete coatings and decor. Take a look at some of the products and systems you can use around your property. Sundek was the first to develop the Classic Texture surface finish. It is a knockdown overlay. This style of overlay continues to dominate the pool and patio deck industry to this day. The reason for its success is that the Classic Texture acrylic finish has everything you would expect out of a pool deck coating. The Classic texture overlay provides slip resistance, ease of maintenance and cleaning. The surface is much cooler than most other pool deck surfaces and natural stone. it is available in a wide range of custom colors and is still very cost effective. Sundek of San Antonio understands that one size does not fit all, so you don’t have to choose Classic Texture Finish, We offer a complete range of custom concrete finishes that can meet almost any decor, style and budget. When the time comes to choose your perfect outdoor concrete finish contact Sundek of Austin and we will provide fast response and give you many different ideas and custom options to choose from. Concrete patios and outdoor living spaces are now considered one of the most popular spaces around the home. Patios are also very popular sitting, eating and entertaining areas for restaurants, bars and nightclubs. Sundek can help create a functional concrete patio surface that is easy to clean and maintain, be stain resistant, be safe and slip resistant even with food and liquid spills but still blend in with the surrounding decor and design. Concrete patios coated with one of the many Sundek systems can take on almost any look and design. You might find a hand crafted custom overlay like a Tuscan Finish, or maybe an earthy natural looking SunStone finish is the ideal look you are going for to complimnt your decor…. SunStone is a limestone coating that looks and feels like real stone. One of the most unique, complex, yet high end finishes is a stamped concrete finish with a patterns that allow a realistic stone or brick to be achieved. If you want to mimic a real stone surface than you should consider a concrete stone finish. Any desired look for your patio can be achieved with our products including brick, tile, flagstone, italian slate, travertine and pavers. A driveway or drive to home or business location must be able to take the normal wear and tear of everyday vehicular use. Sundek coatings are designed for heavy traffic and vehicles. Sundek coatings are often subject to abuse from kids toys, skateboards, bikes, roller blades and scooters and and hold up incredibly. A concrete driveway is often left functional and grey but you would be amazed at how the look of a property can be improved with a decorative colored and textured surface on the drive. A driveway can be installed with a Sundek products like Stamped Concrete, or a Limestone Coatings for a more natural stone european touch. A simple and cost effective way to add color to a concrete driveway is to use stained concrete for a natural rustic and mottled color and feel. Any way you look at it a concrete driveway that is decorative and beautiful is a great first impression for either your home or commercial property. Walking down the pathway to a home or business is essentially an inviting red carpet to your property…or as some would say your welcome mat. Sundek decorative concrete coatings are an excellent method to provide a clean, upscale appearance and add curb appeal to your property. Sundek coating products can save you time and money from having to tear out and re-pour your concrete. Walks & entries done with Sundek systems can include a textured stone stamped concrete finish or a colorful natural brick patterns with a limestone coatings for a more unique and custom carved look. The staff at Sundek of San Antonio have been adding beauty to concrete for many decades. Our advanced technology in products and installation methods allows us to also transform vertical surfaces into decorative works of art. So when you call on Sundek of Austin to revitalize that pool deck, patio, driveway, living room, lobby or garage floor…Take a good look around at interior and exterior vertical surfaces and soon enough your walls could be the feature of the home.